The weekend clock change has brought us another step closer to the most dangerous time of the year for children on the roads. Contrary to what many people might think higher numbers of children die on the roads on longer, warmer summer days as opposed to the shorter, colder days of winter. Historical data shows that the monthly total of child road casualties rises to a peak in July when (based on a five-year average) 57% more children aged 15 are killed or hurt compared to December which has the lowest monthly average. The table below shows all child casualties, and those killed and seriously injured, by month (five-year average, 2010-14). Looked at across the year the peak hour for child road casualties is between 3pm and 4pm with many also hurt in the following couple of hours. There is also a spike in the morning between 8am and 9am. The spikes coincide with the school ‘rush hours’. 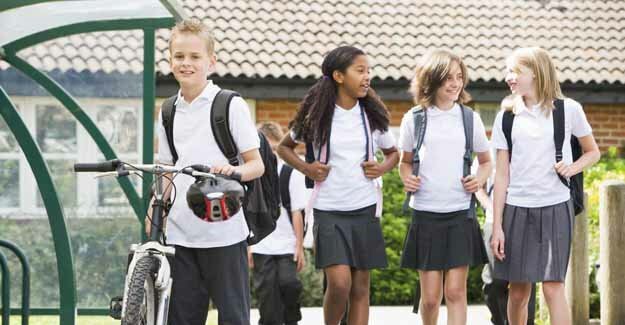 The summer peak in total child casualty numbers is likely to be down to children’s increased exposure to risk with the better weather and longer days meaning more young people playing outside with their friends; and cycling and walking to and from school. For example the number of child cyclists hurt in July (the peak month) is some 400% higher than it is in December, while overall traffic volume in July is only about 13% higher than in December. However the number of children in cars who are hurt on the roads also increases during the summer suggesting that by whatever means of travel, children are out and about more than during the winter months. Note: a link to tables with child casualty numbers/rates for all local authorities is at the bottom of this release. Figures for Westminster and City of London have been combined. These are the ten areas in Great Britain with the lowest proportion of child casualties (2010-14 average). “Instinctively we think of the dark, cold months as taking the biggest toll on our children. But the opposite is true. With the longer, warmer days children are more likely to be out and about. And with that comes a big rise in casualties. “Over the past decade or so there has been a steady decline in the overall number of child casualties but worryingly in 2014 there was a noticeable increase. “It is the responsibility of all drivers to be mindful of the risks of young road users and children playing around and near roads and to reduce their speed and increase their vigilance. But more needs to be done to address road safety education in schools and across the board to ensure our young people are alert to the potential dangers.